The Place: Al fresco style, simple and quiet, a good place for you and your friends to catch up some stories. I was with my high school batchmates last Dec. 29, 2012 and we decided to have a light dinner/snack since most of us already ate our dinner. Get togethers with high school batchmates has always been awesome because we only see each other during special holidays. Since Dec. 29 was a Saturday, we knew that it will be hard to penetrate along the major night spots in Magsaysay. True enough, Magsaysay was jam packed and was even hard enough to park any vehicle. 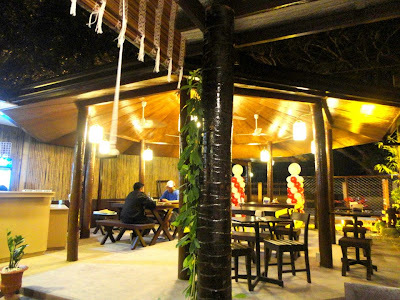 We decided to try something new and we heard about this new restaurant along Taal Avenue. 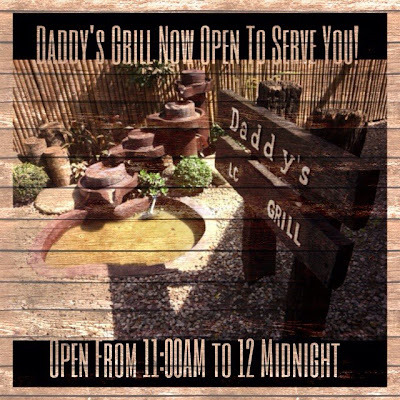 The name of the place is Daddy's Grill and I heard that they offer Ilocano dishes that made me delighted since our family often travel to the north to visit our relatives. 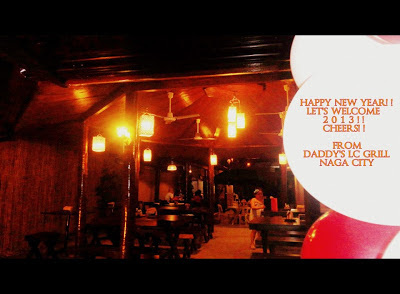 According to the owners, they wanted the place to be known because of the food and not really a place for a drinking spree just like other establishments along Magsaysay and Penafrancia Avenue. Yes, they serve beer but not sold in buckets. There's a place for every thing perhaps. Bagnet is called the Ilocano Chicharon which is a very well known dish in Vigan along with Okilas (Chicharon with Dinuguan) and the Vigan Longganisa. 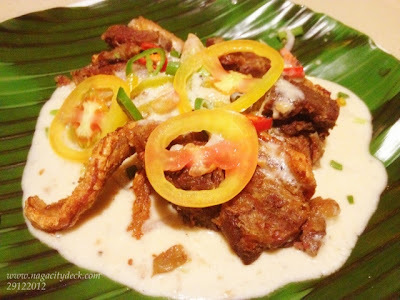 I must say that the creamy spicy bagnet has a touch of Bicol already since it has gata (coconut milk). It's not that spicy but it's crispy and sweet. Tasted good actually because of the fusion of the gata and the crispy pork. I believe this is their BEST SELLER. 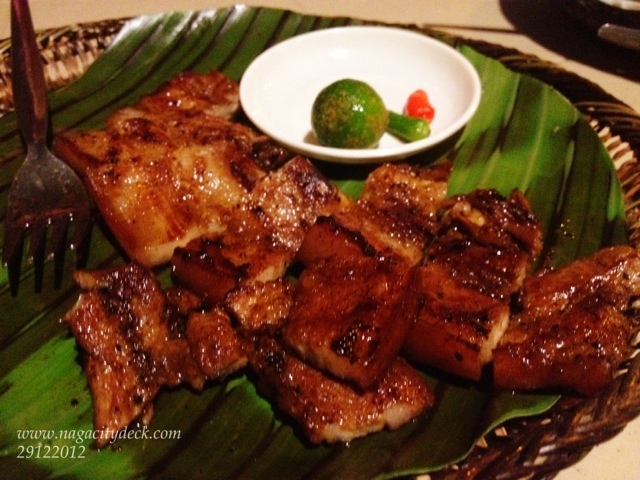 This isn't really a unique dish, but serves as an appetizer or may be pulutan to many. 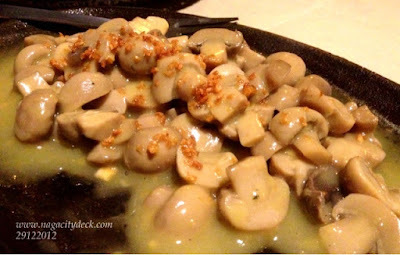 But hey, I love mushroom! Our order was a bit limited, so this means I have to go back and try the other dishes they have on the menu especially the unique ones. 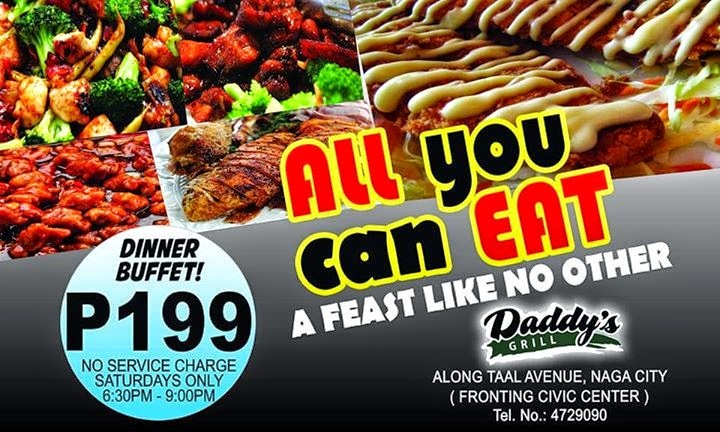 Seems like dads really want to prove they're good in the kitchen too and not only the moms. 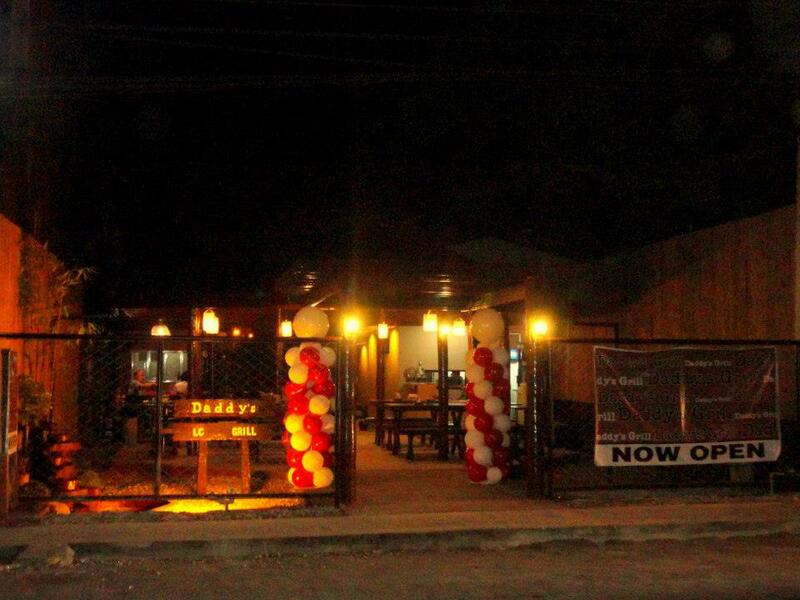 Congrats and more power to the owners for bringing another flavor in town! 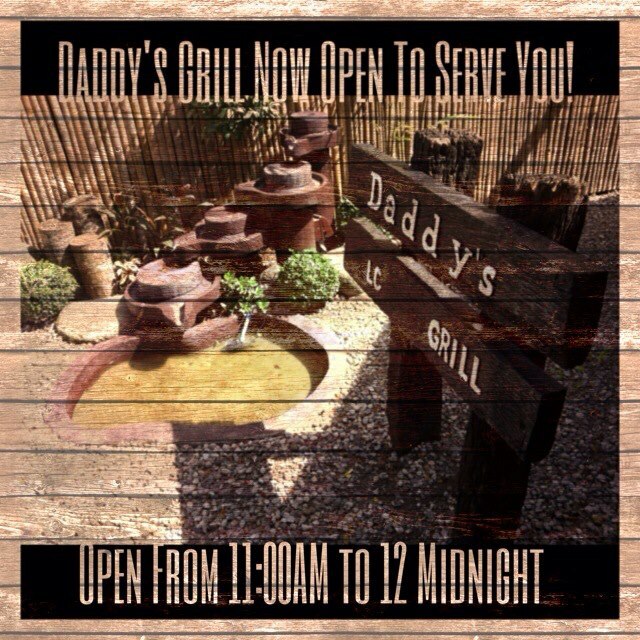 The next photos are grabbed from the Facebook page of Daddy's Grill. Don't forget to like them on FB!